Browse dried-flowers suppliers by country and region. Short on time? Let dried-flowers sellers contact you. Agape Trades And Consultancy Pvt. Ltd.
Apex International is one of the prominent cultivators and exporters of Medicinal Herbs, Spices, Honey and Oils and is located in Rajasthan, India. We are ISO 22000: 2005, WHO-GMP ORGANIC & HALAL certified. 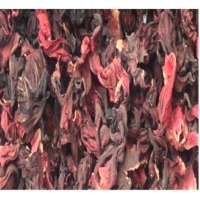 We supply premium quality Dried Hibiscus Flowers, T-cut as well as hibiscus powder. Dried Hibiscus Flower as various health benefits. It is therefore used in medicines and food supplements. 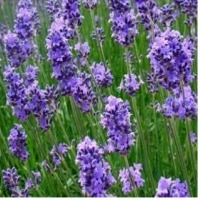 It is generally used in Herbal Teas for its slimming quality and rich taste. Let us know your requirements if any. We shall offer our best prices for the same. We will be pleased to serve you at the best by providing the best prices, swift sample delivery and prompt shipments. Rose Petals (Rosa Centifolia) Botanical Name : Rosa Indica / Rosa Centifolia English Name : Rose Plant Part : Flower Petals Purity : 100% Powder Mesh Size : 60, 80 & 100 We are one of the prominent Exporters of Pure Rose Petals & Rose Powder From India. Rose Petals & Rose Powder created from finest rose petals that are cured to perfection. The powder is an essential ingredient in many face packs, hair packs, hair oils and perfumes because of its cooling properties and soothing fragrance. For centuries rose has been used in perfumes and as a coolant for eyes and body. 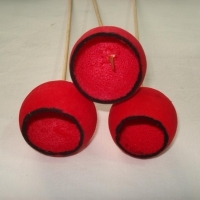 It is also effective in curing skin infections, inflammation, swelling and prickly heat. 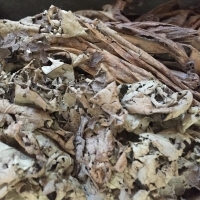 Advantages It is natural cooling agent, soothing fragrance and cures skin infection. How to use It has to be mixed with Rose water or plain water to make a paste. As it is a natural Herbal Powder it makes the skin soft and smooth. It adds glow to the skin. Apply the paste evenly on the face and neck, allow it to dry. Wash the face with cold water. 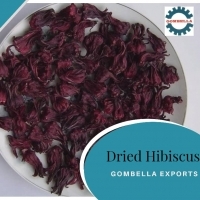 Dry Hibiscus Flower Origin : Nigeria Flower : 85-90% Admixture : 2% Max. Moisture : 10% Max. Royal Rose Petal Confetti The superb, delicate aroma of Royal Rose Petal confetti is simply unique. Created especially at the request of Queen Elizabeth II for the wedding of the Duke and Duchess of York, Khanâ€™s confetti is still made to that original recipe from 1986. Each flower is carefully picked and individually dried by hand before being infused with a beautiful, natural fragrance that will last and last. This eco-friendly and natural confetti is biodegradable and so is welcomed at weddings, birthdays and anniversaries alike, giving everyone a precious memento of your wonderful occasion. Each wonderful boquet arrives in its own handmade calico carry pouch, filled with 350 grams of petals for you, or 1000 grams for the whole family to share in the moment! 350g popular pack (50 per case) 1000g family pack (25 per case). 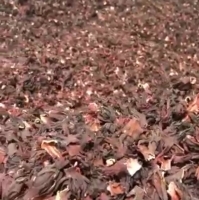 Product Specifications Drying Process:- Natural air drying Colour:- Dark Red Percentage of Broken:- 5% Moisture:- 12% Foreign Matter:- 2% Max Insect Infestation:- Free from Insect Infestation Moisture Content:- Maximum 10% We supply Dried Hibiscus Flower of Nigerian Origin of good quality at competitive prices. We also can pack in buyers custom required packaging and deliver all shipments promptly as contracted.